Found this male Kangaroo grazing out on Stradbroke Island, in a nice location while the sun was setting behind. Was able to combine the wildlife and landscape technique, to capture this image. 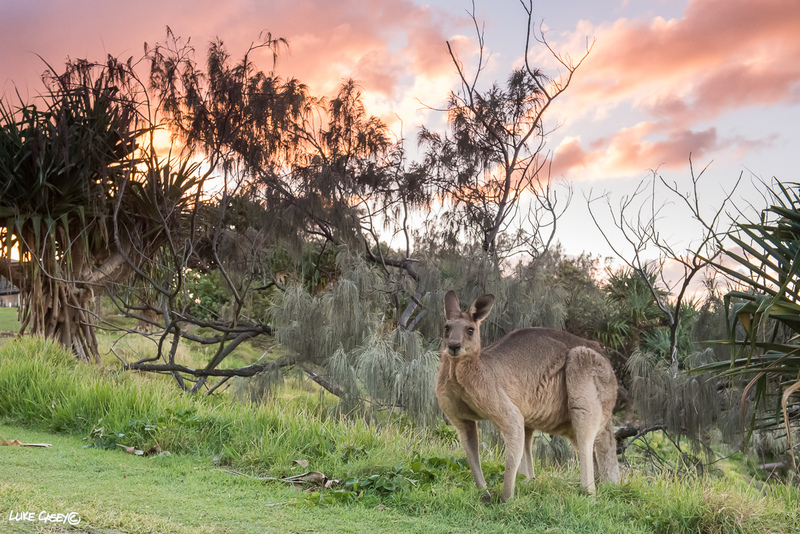 Posted in abstract, Australia, Colours, Landscape, Nature, paradise, Stradbroke Island, sunsetTagged Kangaroo, male, paradise, stradbroke island, sunset, wildlifeBookmark the permalink. Yeah wow. Love the contrast of the clouds with sunset and the grass.